Nothing like a Bugaboo. 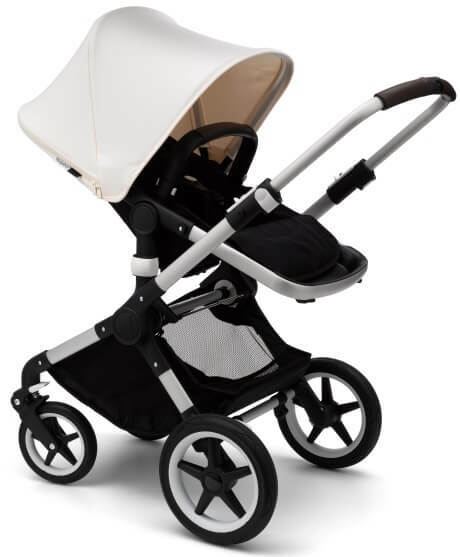 Bugaboo strollers offer the smoothest ride, no matter the surface, and are always easy to push, fold, carry and store. Their strollers and accessories provide comfort, convenience and protection, so you're ready for anything. The Bugaboo Fox is strong and sturdy, yet light and compact for easy carrying and storage. Enjoy the smoothest ride and comfort for the child thanks to the all-wheel suspension and big tires. The Bugaboo Fox embraces your complete lifestyle: going outdoors, traveling and shopping are easy and always smooth. 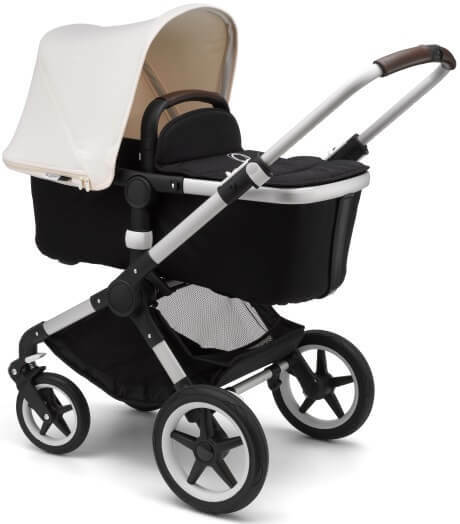 The Bugaboo Fox features practical details like the large easy-access under seat basket with built-in pockets, and the foot brake which is easy to apply and release with a simple shoe-friendly clicking action. Simply click Bugaboo Accessories directly onto the stroller’s integrated attachment points. Easily install accessories like the parasol, cup holder or wheeled board, then head out to explore. The stroller’s seat is positioned at an optimal height, without compromising the stability of the stroller. Perfect for lifting your child in and out. 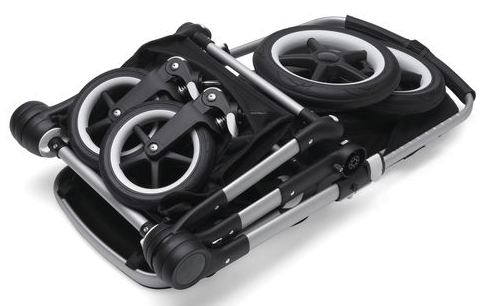 The chassis of the Bugaboo Fox is strong and sturdy while weighing in at just 21.8 lbs. It’s easier than ever to lift, carry and transport. Whether you’re bundling it into the car or carrying it up the stairs, the easy one-piece fold and self-standing design make transporting your stroller hassle-free. Its super-compact fold makes storage a breeze, folding easily into a cupboard-friendly size. The Bugaboo Fox is made to last from durable materials and fabrics. You can use it for your first child, pass it through your family and friends, and it will still be going strong years later. We believe that mobility and moving freely shouldn’t come at the expense of our planet and the people on it, so we created the Bugaboo Fox fabrics with existing materials. 92 recycled PET bottles are used to create the Core Collection fabrics for the Bugaboo Fox. Whether it’s a new season or a new baby, it’s easy to refresh your stroller with a wide range of colors and fabrics. Switch it up, mix and match, and create a whole new look simply by switching your sun canopy or seat fabrics. Our best drive performance yet and new central joint suspension means a smooth, bump-free ride for your child. 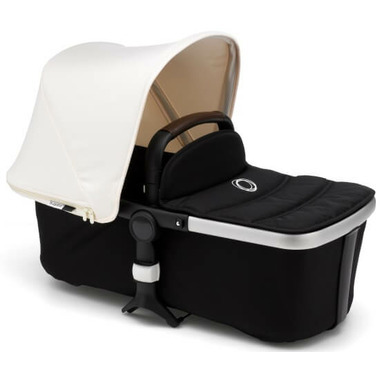 Plus, the pram body and seat have been ergonomically designed to make the stroller even more comfortable. When you’re behind the stroller, pushing and steering feels effortless. Navigating corners, busy streets, and tight spaces becomes a breeze; it’s like power steering for your stroller.